After eating without thinking for four decades, suddenly the word Coeliac entered my life, which in turn brought two other words. Gluten. Free. 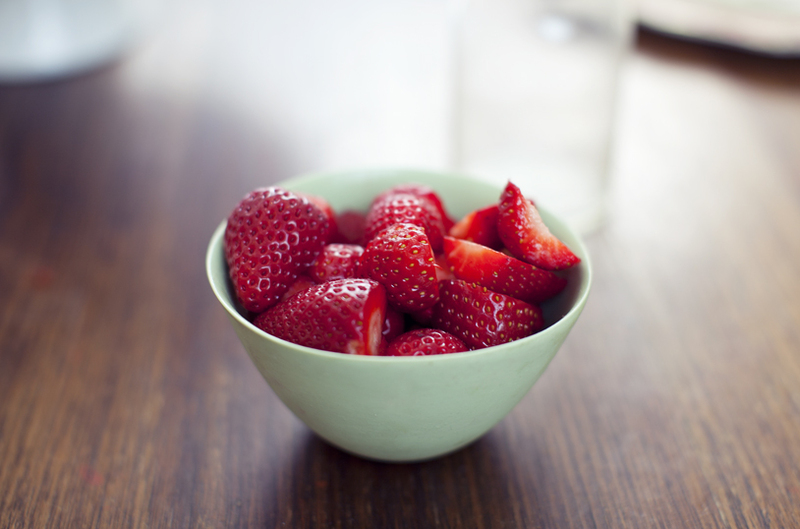 This blog tracks my personal food journey and experiences. I hope you enjoy it. 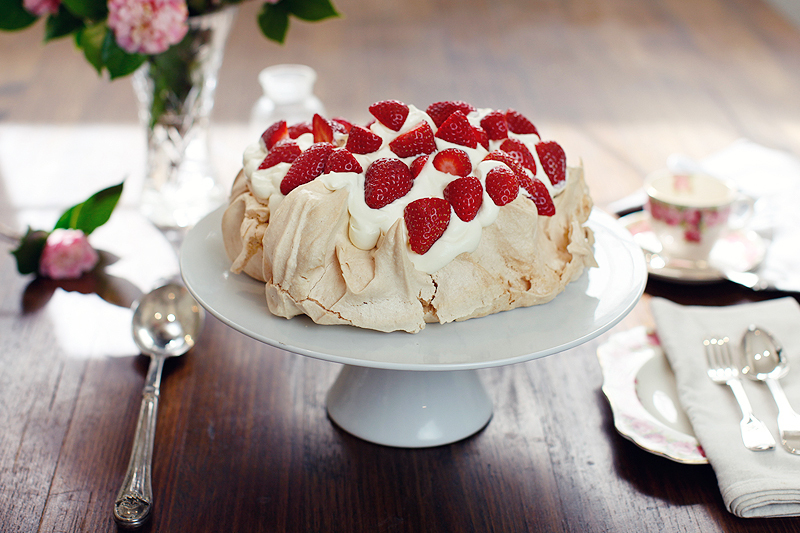 Now this is a pavlova made with love. Just look at it. It screams love – and gluten free love at that. It’s been lovingly baked and prepared by the queen of culinary love, Sara Green of Passionfood (scroll down for her recipe). When I was first diagnosed with Coeliac disease, one of my good mates told me I must look up Passionfood, a home delivered food service in Sydney’s east, where the entire menu is gluten free. So I promptly did, and met the lovely Sara who is the creator, brains and chef. Sara’s husband, daughter, mother-in-law and sister-in-law all have Coeliac disease, so eating gluten free is a way of life for her entire family. She quickly learned to tweak recipes to be gluten free, and found that many didn’t need much changing. Her belief is that every recipe can be made gluten free with minimal changes, and can taste just as good, if not better. Some of the beautiful cakes and slices (I am personally addicted to the lemon slice). “Passionfood began in March 2009. 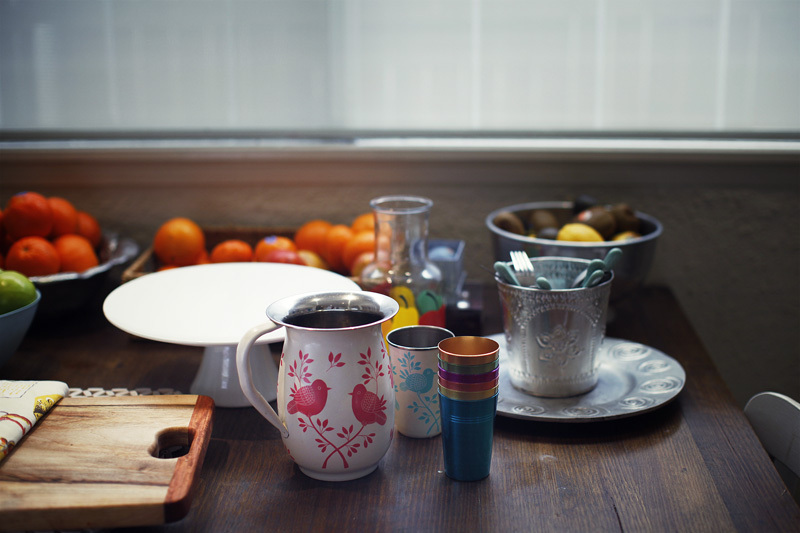 It originated from my love of home cooking, and the desire to create a business that is family-friendly. It combines my two passions….my family and cooking. When my first child started school and I would go to mums lunches, I quickly became the one who brought dessert. They all couldn’t believe that it was gluten free and people started saying, “You should sell your food.” I had worked on and off as a Registered Nurse for 15 years, and felt it was time for a career change. Something inside me told me to take the chance with selling my food. So my first customer was Cafe Q at Bronte Beach, and to this day, I still take my cakes down there each Saturday. I didn’t want to do just cakes, so I designed a menu that covered main meals, soups, vegetarian, desserts, sweet treats and kids dinners. I then sent an email telling my friends about my new business venture, and before I knew it I had a regular clientele. I have been so fortunate as my customer base has grown by word of mouth alone. The business has evolved organically and that’s one of the things I have loved. My job is to take the pressure off my customers, so I do all the shopping and cooking, and the meals are home delivered (mostly by my husband Chris, who is an incredible support!). 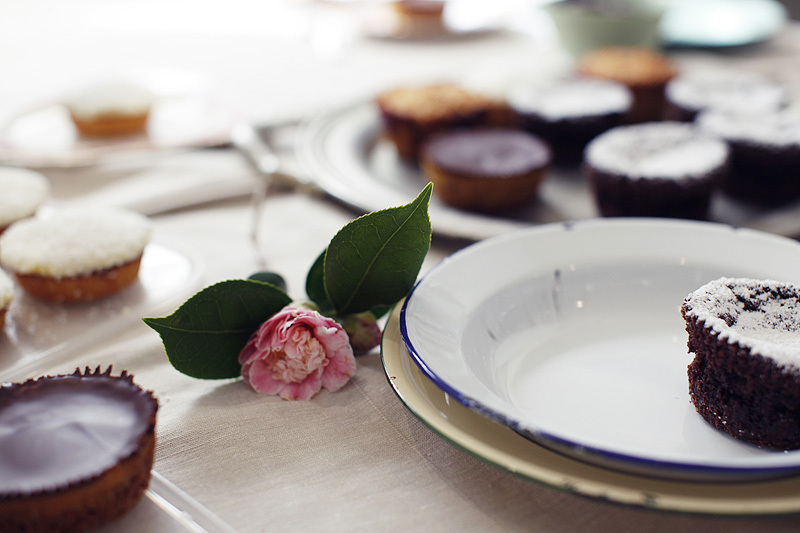 All the details about the Passionfood menu, delivery and pricing are on the website. 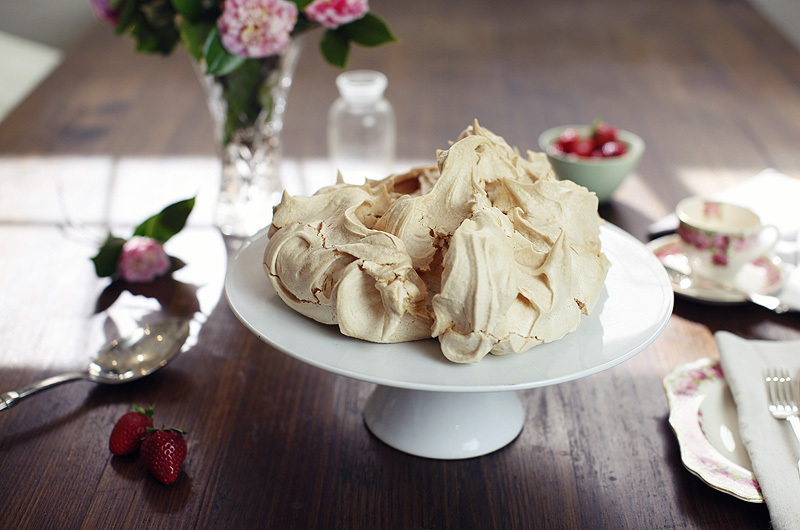 Here’s Sara’s recipe for that amazing pavlova. This has been adapted from Bill Granger’s recipe in Bills Sydney Food (updated collector’s edition now available – to celebrate 10 years in print). Serves 8 – 10. Preheat oven to 175 degrees celsius (fan forced). Place egg whites, cream of tartar and vanilla into a clean dry bowl and beat until stiff peaks form. Add sugar in tablespoons, beating continuously until all sugar is added and meringue is glossy and thick. Stir in the cornflour, arrowroot and vinegar with a metal spoon. Pile onto a baking tray lined with baking paper, in a circle approx 20cm in diameter. Put in oven and immediately turn oven down to 130 degrees celsius (fan forced). 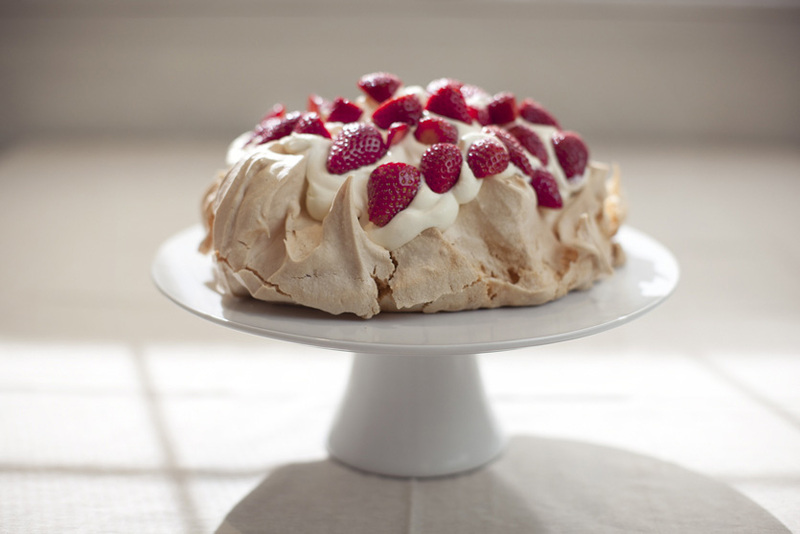 Bake pavlova for 1 hour and 20 minutes, or until the outside is firm but not browned. Allow to cool in oven. Cool completely before serving. Top with whipped cream and strawberries and chocolate (optional). By visiting this website you are agreeing to the terms & conditions. Unless otherwise stated, all content, including but not limited to any text and photography on this website is the copyright of Vanessa Rowe © 2011. Powered by Wordpress.